Quilted waistcoat by BOGNER. 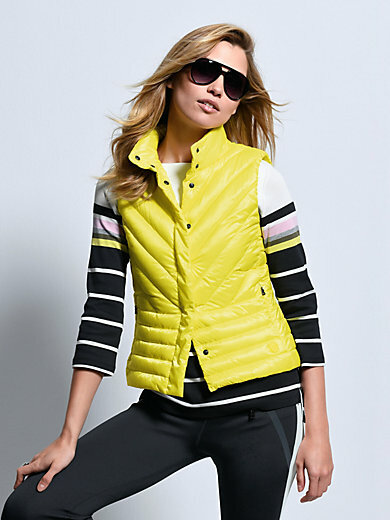 A fashion highlight from the new BOGNER collection in a bright trend colour. In superbly soft microfibre with flattering quilting and a wonderfully light filling made of 100% duck down. Fitted style with a padded, high closable stand-up collar, a press stud fastening and 2 seam pockets with "B" zip. In 100% polyester. Lining 100% nylon. Length approx. 24ins. The quilted waistcoat is machine washable.